This year’s ADA Tour de Cure was a success. 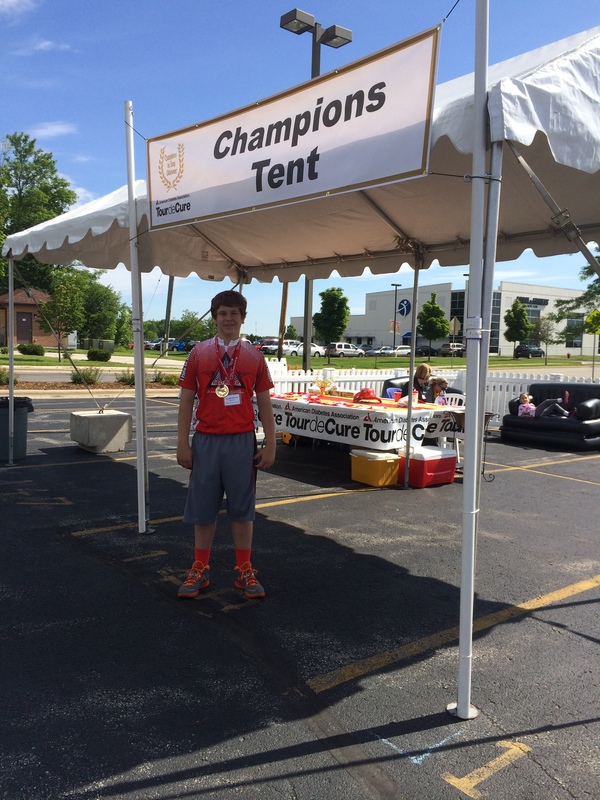 The weather was beautiful, the turnout was good, and Joey reached the “Champion” level of fundraising for the event. Let’s face it, fundraising is the key to any event that we are a part of, it’s the only way to fund the programs that the ADA offers, from a camp for kids with type 1 diabetes, to helping people with type 2 diabetes understand the disease. To reach “Champion” status, you have to raise $1,000 or more. 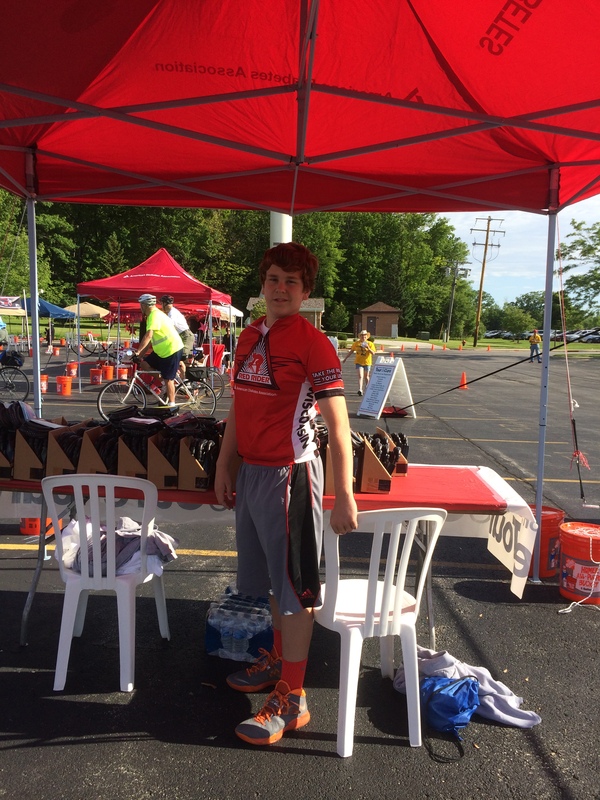 Joey raised over $2,000 for the ADA, thank you friends and family who supported us AGAIN. We are so proud of him, I think that the reason he does so well fundraising is that our family and friends appreciate that he “works” for the donations. He wants to be a part of the solution, he likes representing kids, and telling his story. In addition to Joey being a great advocate to raise awareness and money for type 1, we share our families triumphs and struggles with having a chronic illness in the house. We don’t hide any of our struggles, and certainly share our successes with anyone who will listen. We want to educate people because diabetes is on the rise, it’s actually scary how fast type 1 is increasing in numbers. In the last 6 months, I personally know two families that have been diagnosed with type 1 diabetes. I want to ask all of our family and friends to support someone in your life, be it type 1, or autism, or cancer, please support someone in your life that has a chronic illness, they need you in so many ways. Previous Post Contests DO help to raise money; along with great family and friends. Next Post It’s a Small T1D World!